Sometime logging into EM takes a lot time, which is quite frustrated. We can enable the discovery cache to make it faster. 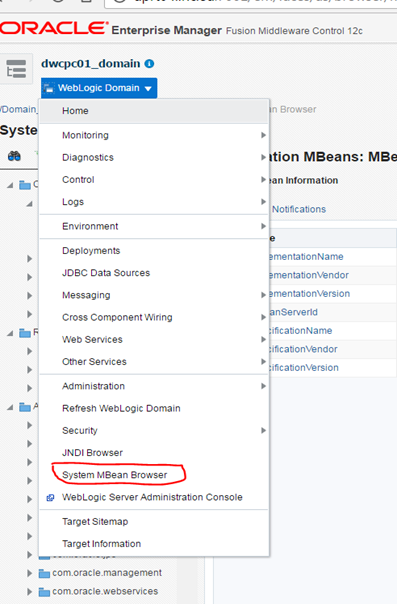 Click on your domain and System Mbean Browser. 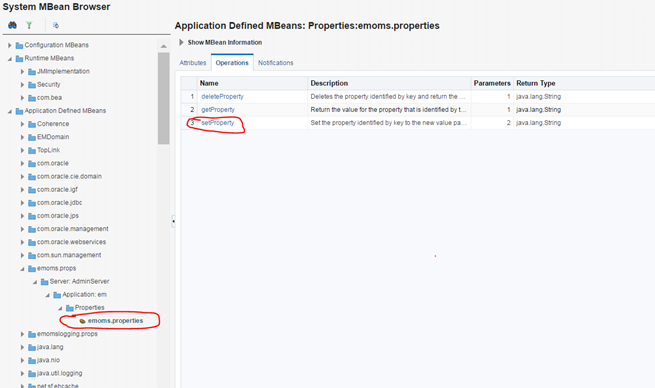 Access following AdminServer mBean for setting the cache property. Setting rest(last) two properties as above. Unless using non-default values, the last two properties are optional. 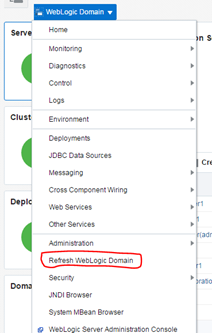 # Enable caching of FMw Discovery data and use it for other subsequent users. # from cache should be used before requiring a fresh discovery. # this parameter indicates how long the user can wait for current discovery to complete. 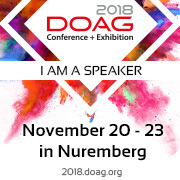 # in cache it will be used, else the user will launch a new discovery session. 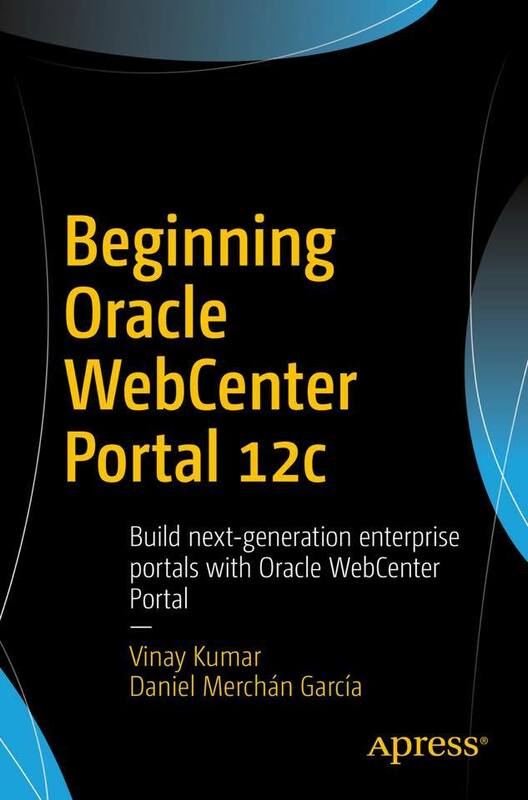 Next PostNext Pre-Oreder your copy of “Beginning Oracle WebCenter Portal 12c” today!